You are here: HomenextTransportnextTransport - shipsnextOBUASI in Tilbury. OBUASI of Elder Dempsters in Tilbury. Note that the berth she is using has yet to be developed in the west dock. 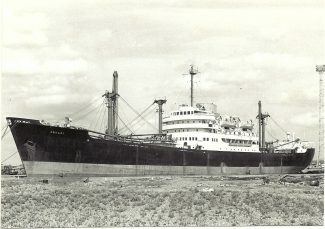 She was built in 1952. She became the AMOY in 5/72 and sank in 7/72.